During the fall of 2017 the Suitcase went back to basics. After exploring various methods to gain new knowledge about the audience’s experience with performance art, we revisited one of the most simple and basic methods: the physical questionnaire. We wanted to make sure that we understood the qualities and challenges of this method before dismissing it completely. Furthermore, this was a simple way of making sure we reached every single audience sitting in the seats. In this ’Reading right now’ we will focus on a common misconception about young and new audiences. It is something we see at The Royal Danish Theatre from working with audiences and looking at our data from our ticket sales: Furthermore, the insight is explained in this informative talk Taking out the Guesswork: Using Research to Built Arts Audiences based on Wallace Foundation research. Young audiences want cool and edgy art and culture – or so we think. Read the post Reading right now #5 here. We have talked about it before: Listening is key when we want to learn more about audience experiences. In past projects, the Suitcase have listened to audiences talk about their experience with performance art. These conversations have for instance taught us that the overall experience (purchasing tickets, talking to the front-of-house-staff, the transportation to the theatre etc.) to a great extend affect how we perceive the entire visit and how likely we are to recommend the experience to others – the so-called Net Promoter Score. Last week the Suitcase listened with a specific focus on customer service. 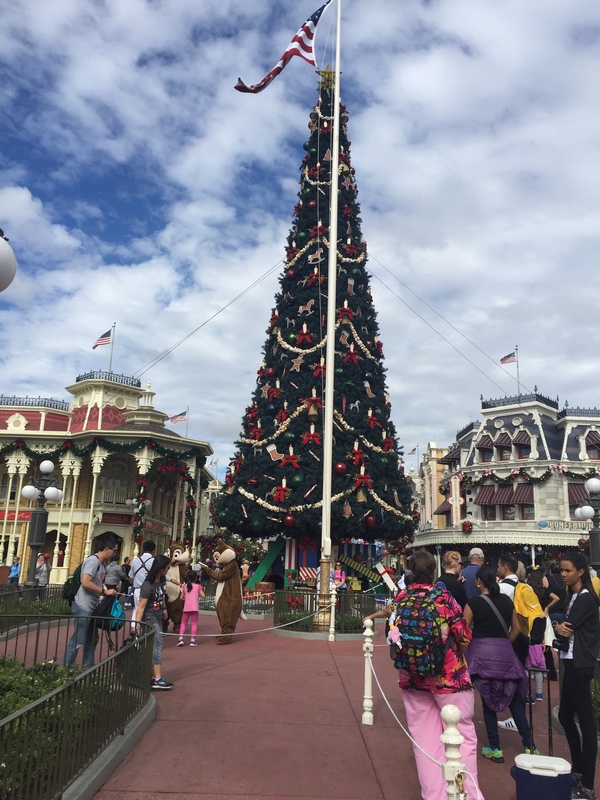 Director of Programming, Strategic Analytics, and Sales at The Royal Danish Theatre and project owner of The Suitcase of Methods, Christina Østerby, attended Disney’s Quality Service course along with two of our customer service managers. 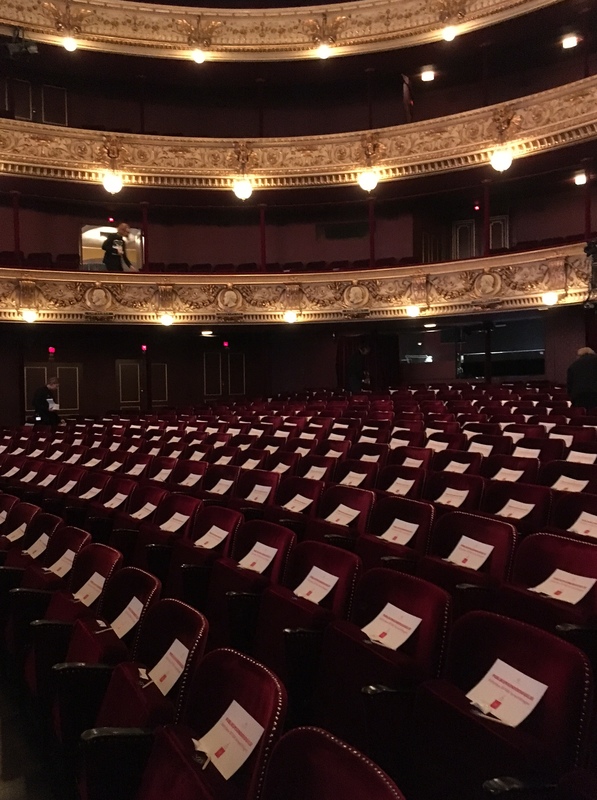 We did this to learn more about the impact and further development of our customer service – the first touch point between audiences and The Royal Danish Theatre. Now to be clear, a visit to The Royal Danish Theatre is (and should be) very different from a trip to a Disney theme park. Nevertheless, the visions and strategies behind Disney’s Quality Service are interesting and seem relevant to people and institutions working with customers. Listening (in a broad sense of the word) is a core practise in their customer service strategy. Disney focus on intentional listening, which means that they always listen to hear, not only a customer’s wants, but also their needs. What time is the three o’clock parade? Of course, these customers have a pretty good idea of when the parade begins, but their question indicates that they seek more information for instance about what to expect from the parade. Where can they stand? What will happen? Etc. The employees are trained to always put themselves in the position of the customer and try to understand what information and service could be valuable in a specific situation. To do so Disney works with a compass tool, to help employees be aware of the different aspects of a specific customer. The Customer have various needs, wants, stereotypes (preconceptions about the organisation), and emotions while engaging with your brand or visiting your venues. For Disney it is important to cover all these aspects and to be particularly focussed on connecting emotionally with the customers. Face-to-Face Research: (For instance talking to costumers). Guest Communications: (Letters, e-mails, and phone etc.). Websites & Social Media: (An opportunity to learn from your customers’ uninhibited comments). Talk to your employees: (Few people know and understand your customers better than the front-line employees). These posts or platforms for communication are not new to The Royal Danish Theatre as we already use them to communicate, as well as to gather knowledge about the audience. But the specific emotional focus in the communication could be interesting to explore further. The heart of service recovery is to pursue the reconciliation of the relationship, not just the resolution of the issue. Sometimes it is not possible to completely oblige the customer’s requirements. It might be too expensive, or simply not possible for an organization. In these cases Disney accentuate that it is the relationship with the customer, which is most important. Recovery in this situation would focus on making customers feel seen and heard by listening to them and by trying (with other means) to make their visit as pleasant as possible. How is this relevant to The Royal Danish Theatre? As mentioned, the experience visitors and audiences may have at Disney and The Royal Danish Theatre respectfully are in many ways very different. Nevertheless, it is interesting to see a brand working so intensely to detect and diminish unpleasant and inconvenient experiences during a visit to a Disney Theme Park. In contrast, an art experience at The Royal Danish Theatre could (and sometimes should) be provoking and complex. But in order for the audience to be ‘ready to receive’ these art experiences the circumstances surrounding the experience should be pleasant and easy. In our latest companion survey (see more here), we saw just how much the practical elements affect the overall experience. Therefore it is important to make the experience with our venues, our website, our staff, etc. a great priority. 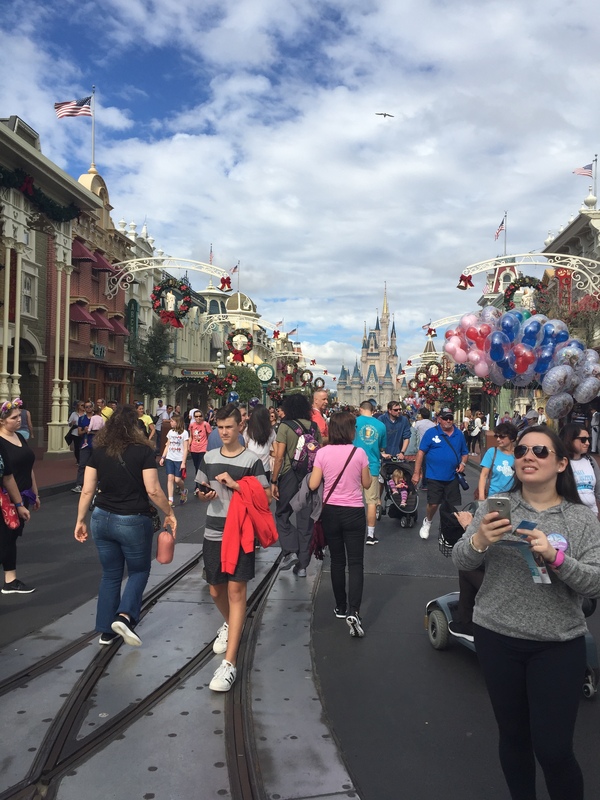 We do so by developing a customer service culture that for instance is focused on listening – listening to audiences, to our front-line employees and – for a couple of days – listening to Disney. It is time for the second exciting project outside the Suitcase. We have heard it before: Communication is key! One of the things the Suitcase is very preoccupied with at the moment is how best to communicate what we do and what we learn. We have our reports, our shorter blog posts, the small videos etc., but we are still debating how best to reach practitioners, decision makers and researchers all at the same time. Today’s exciting project is an example of a very inspiring and talented communication of how art experiences affect us and how our brains react when exposed to art. 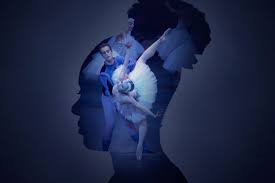 The Washington Post released in September 2017 an interactive article that uses beautiful video footage and music from the ballet Swan Lake to illustrate one important point: “When we experience art, we feel connected to something larger”. The article explains (through words and moving images) how we are neurologically wired for social connection and that “social connection is a key function of our brains […] Our brains like to share emotions with others. This is just one reason that seeing a live performance — a concert, play, opera, etc. — is a neural rush. The brain is highly stimulated by motion, body language, facial expression, gestures — all the motor perceptions that could affect survival and our success in social settings […] But we’re not only visually pulled to the movements of others. We feel them, in some small way, in our bodies. When we watch a dancer spring across the stage, we may experience a little internal hippity-hop, too. Find more arguments for why “the logic of art is a neural turn-on” in the article here. In terms of communication, the remarkable detail of this article is that the readers experience in their brains and bodies exactly what is described in the text as they read and watch it. We learn that different movements affect us in certain ways. And as we learn this, we watch an example of a movement, and to some degree, we have the described reaction. We are cognitively learning and physically experiencing the message all at the same time – Brilliant! Read (and experience) the article here. One of the Suitcase’s main interest points is the questions of connection and relation between the artists on stage and the audiences in the auditorium. In a series of workshops, we are exploring how digital technology can help to establish that connection. Read our entire report about our work with the pulsating heart here. The Suitcase is going back to basics in a current project we call ‘Companion survey’. We are placing small questionnaires, a pencil, and a candy on each seat at four of The Royal Danish Theatre’s stages, three nights on each stage. That means we potentially reach up to 10.000 audiences. This traditional survey may seem like a very old-fashioned way of exploring the audience’s experiences. However, being part of a ‘Mixed methods’ setup at The Royal Danish Theatre, the work of the Suitcase aims to contribute to creating a broader insight into our audience and their experience with performance art. In this project, we are testing the validity of our traditional online surveys (which are described more here). These online surveys measure the experience of the ticket purchasers, but they do not give us any information about the dates, friends, and families they bring with them to the theatre. In this companion survey, we test whether the companions are similar to the ticket purchasers when it comes to age, gender, and how they rate a performance and the overall experience in the theatre. This project is in many ways very simple – pens, paper – a classic physical questionnaire. However, carrying out this simple idea involves quite a bit of detailed planning. We will follow up with thoughts on the process of this work in a later blog post. The Suitcase often stumbles upon interesting and inspiring projects from other theatres or cultural institutions. We therefore thought it would be a good idea to share these projects in a new mini-series on the blog called ‘Exciting projects outside the Suitcase’. As always, we are very interested in hearing from you. If you have any recommendations for interesting projects, please leave a comment below. Not surprisingly, we are particularly interested in projects working to generate or communicate knowledge about art, culture, audiences, and audience experiences. The Royal Shakespeare Company in collaboration with the research organization Ipsos MORI are currently working on a project with these characteristics called ‘Project Titus’. They are exploring the difference between experiencing a live performance and watching a production on a cinema screen, and they do so by tracking the heart rates of two groups of audiences. The first group watches the production “Titus Andronicus” in the theatre, and the second group watches a live transmission on a screen in a cinema. After the performance, the audience were interviewed about their experience and they answered specific questions on a mobile app. The results won’t be available for some time as there is a lot for the data scientists to explore. At first glance, some people’s heart rates seemed to rise in anticipation of something happening rather than the event itself. 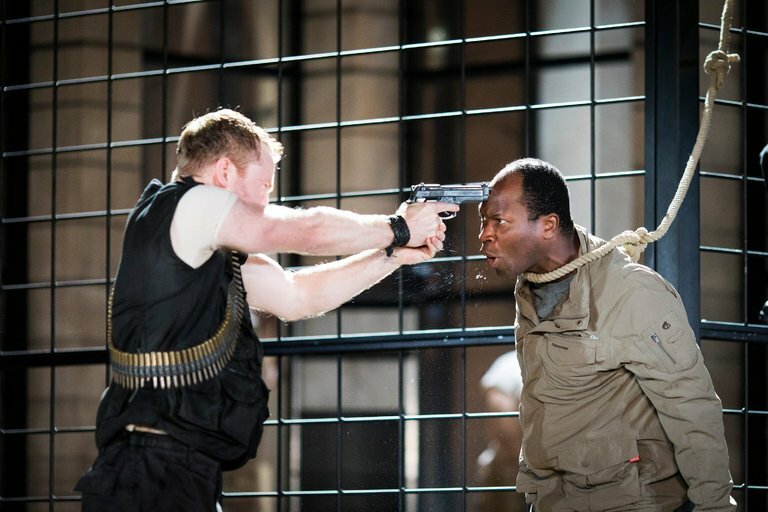 Some elements (such as a sudden loud gunshot) might cause one type of reaction due to physiological changes as adrenaline floods the body, but others were more drawn out and linked with the strength of empathy with a character, such as the scene when Titus sees his brutalised daughter for the first time. It all comes down to the fight or flight reaction we have and there is a lot of that in Titus. (Becky Loftus, 2017: “Project Titus: Measuring the Heart Rate of Audience Members at Shakespeare’s Bloodiest Play”). It will be interesting to see what The Royal Shakespeare Company will learn from of the experiment. In the Suitcase we find this next phase particularly interesting and challenging. It is a difficult process to go from complex data to clear conclusions (without simplifying the insights too much), and further to identify what these conclusions and the new knowledge may mean for the way we think about and develop theatre and cinema. We will follow the development of the project.